The following section addresses technical questions often asked about mechanical steering. It is organized by frequency of question. If you require further assistance, please contact Teleflex Marine Tech Service as noted below. 1. Are replacement gears available for Teleflex helms? No. Teleflex does not offer repair parts for any steering helms or cables. All helms and cables must be replaced as units. If the helm in question is within our 2-year warranty period, we will authorize a free re place ment helm (not including labor). At tempt ing to repair a helm will void the warranty and can lead to steering failure, which may result in personal injury and property damage. 2. How do I know which length steering cable I need? a. Is the cable you are replacing rotary (spiral wrapped black core wire sticks out at helm end of cable) or rack and pinion (cable has long metal housing with rack [flat] gear inside)? Measure the cable's plastic jacket (casing) in inches. If rotary, add 18", and round up to the next foot. If rack & pinion, add 30" and round up to the next foot. C = Gunwale to cable connection at centered tiller (inches). For Tilt Tube Mounting, add A, B & C + 6", then round up to the next whole foot. Order that length cable. For Transom/Splashwell/Stringer Support Mounting, add A, B & C, then subtract 6" and round up to the next whole foot. 3. What do I need in order to add another steering station to my boat? Teleflex Big-T is the only mechanical steering system with a version designed for dual station boats. This specialized product cannot be added on to any existing steering system. SeaStar hydraulic steering is the preferred choice for dual station boats. NOTE: Please see the Big-T Dual Station product pages, earlier in this catalog. The cable for this system is special-order and non-returnable, so please take extra care when measuring. 4. I'm replacing a Teleflex rack & pinion cable in a 1985 boat. I ordered an SSC134 "The Rack" cable and it won't connect to the helm. What's the problem? Note the old cable's rack housing color. It is probably black or gray, meaning that the old cable is a "The Rack (older)" model (1984-2001). If the rack housing is green, it may be a TR188 model (1975-86). This is a Teleflex system, but the helm will not bolt up to the new SSC134 cable. Replace the helm and bezel kit with 1996-date "The Rack" versions. NOTE: Please see The Rack Stern Drive product pages, earlier in this catalog. Replacement cables only for 1984-2001 Teleflex Rack systems are available (part number SSC124XX). 5. I just bought a steering kit and I would like to add a friction screw to the system, but none was included with the kit. What should I do? Friction adjustment is not a standard item in our steering kits and is not available for Rotary Systems. If you have installed a non-tilt "Back Mount Rack Helm," order Friction Kit part number 3953114P. NOTE: If you have any NFB system (Rack or Rotary), a friction adjustment device is not required nor recommended. 6. I just bought a steering kit and I would like the steering shaft to be at an angle to the dash. The bezel kit included in the steering kit only allows a perpendicular mount. Which parts do I need? The standard Bezel (mount) Kit included with the steering system allows the helm to be installed at 90° (perpendicular) to the surface of the dash. Optional Bezel Kits for Rotary Steering systems provide the ability to mount the helm at 20° from perpendicular. The Rack and Pinion system uses "Wedge Kits" that provide 10° and 20° angles. 7. I need to replace the steering system on my boat, but I looked at the back of the helm and saw it was not made by Teleflex. I want to install a Teleflex system, but how do I know which one I should get? Morse Command 200 Rack: use Teleflex Back Mount Rack for power-assisted or NFB Rack for non-power-assisted. Morse Command 2 Rotary: use Teleflex HPS or Big-T for power-assisted or NFB Safe-T II or 4.2 for non-power-assisted. 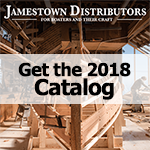 A comprehensive steering interchange listing (with illustrations of helms and cables) for Teleflex, Morse and other brands begins on page 12 of this catalog. 8. I need a link arm to connect the steering cable output ram to the tiller of my outboard. Can I get the link arm from Teleflex? No. You should obtain this link arm from the engine maker. Link arms vary by engine, and the engine maker offers the correct link arm for your particular brand and model. 9. I would like to upgrade the steering in my boat to Tilt Steering. What steps do I need to take? If you have Teleflex rotary steering that was made after 1991 or rack steering made after 1996, you probably only need to purchase a Tilt helm and Tilt mechanism. Determine which kind of Teleflex steering you have, then refer to the appropriate section of this catalog for Tilt Dash Module or Tilt Helm part number. NOTE: Some pre-1991 Hydraulic, pre-1991 Rotary and pre-1996 Rack systems may require purchase of additional items and/or modification of the dash. Please see The Tilt Steering product pages, earlier in this catalog or contact Tech Support for assistance. 10. What size steering wheel should I use? Teleflex does not make specific recommendations regarding steering wheel size, except that the wheel be at or below the maximum wheel diameter noted for each type of helm and that the wheel is sized/ located so it can be rotated freely by the boat operator through the entire steering arc with no obstruction or hindrance to movement. Wheels in the 14" diameter range are used widely with mechanical steering systems. Any size wheel may be used so long as the helm's recommended maximum wheel diameter is not exceeded and steering effort is acceptable. An "equidistant-spoke" steering wheel is suggested for hydraulic steering systems since a certain amount of oil bypass in the helm will gradually result in the wheel becoming "not centered" when the engine/drive/rudder is in the straight ahead position. Again, please note the maximum wheel diameter recommended for the helm. NOTE: For mechanical steering, please note the maximum wheel diameter listed for each product earlier in Mechanical Steering section of this catalog. For Hydraulic systems, maximum wheel diameter is listed for each helm in the SeaStar/ BayStar/Hynautic Helm Specifications chart in the Hydraulic Steering Tech Reference section. 11. I have a [model/year] boat and [model/year] engine. How do I hook up my steering cable to the engine? There are many ways to connect a steering cable to an engine, drive unit or rudder. For outboards, the most common connection method is fastening the steering cable to the engine tilt tube and attaching a link arm from the engine's "tiller arm" to the cross-hole in the steering cable's "telescopic ram". Generally, it is best to replace what was originally installed with similar components whenever possible. When that is not feasible in a mechanical steering installation, consider upgrading to SeaStar. NOTE: For an overview of the basic types of steering connections and available components from Teleflex Marine, please see Steering Connection Kits Overview and Teleflex Steering Connection Kits, on previous pages. 12. I just bought a NFB (No-FeedBack) helm and cannot turn the shaft by hand. Why? Without the steering wheel on the shaft, NFB helms are very difficult to turn by hand. This reason is the No-FeedBack clutch is always on "standby" to grip the helm shaft and hold it steady against torque feedback from the engine (which can make the steering wheel turn on non-No-Feedback systems). Once the helm is mounted in the dash and the steering wheel is properly attached, you will be able to turn the shaft easily. Follow the installation instructions completely. NOTE: An overview of NFB can be found on page 23 in this catalog. Available NFB systems are shown after that. 13. I want to install an autopilot on a boat with cable steering. What do I need? Teleflex does not make adapters or interface parts to connect an autopilot to mechanical cable steering. This is left to the autopilot manufacturers. We do however strongly recommend that if you are installing an autopilot, upgrade your mechanical steering to a SeaStar hydraulic system. SeaStar is designed to interface with most autopilots and will give you superior all around performance. NOTE: Autopilots cannot be used with any type of mechanical NFB (No FeedBack) steering. In that case, you MUST upgrade to SeaStar. 14. My steering cable is stiff/ stuck and won't move properly when I turn the wheel. What should I do? The first step is to isolate the problem component(s) of the steering system. Several factors can lead to what feels like a "stiff" or "frozen" steering cable. If you do not have installation instructions for the system's cable and helm, contact Teleflex (or other manufacturer, if appropriate) to obtain them. Also, have your engine and boat owner's manuals handy. The following troubleshooting sequence is suggested, during which the steering wheel should remain on the helm. a. Is the steering cable in fact "stiff/frozen"? Carefully disconnect the steering cable from the link arm, tiller arm or rudder post arm. (Refer to installation instructions for that steering system and boat/engine owner's manual.) From the helm, attempt to turn the steering wheel in both directions by hand to ensure that it moves freely through its prescribed steering arc. Also, check the hardware that connected the cable to the engine/drive/rudder for signs of binding, excessive free play, corrosion, deterioration and/or incorrect assembly. If everything does move freely and is in good working order, go to step b. Steering cables cannot be repaired. If the steering cable is deteriorated, does not move or operates in any manner other than correctly, replace it with the correct one for the helm. If the cable for your helm is no longer available, replace the helm, bezel and cable with an appropriate Teleflex steering kit. If any cable connection part is deteriorated, too stiff or too loose, replace it with the correct type of component. Teleflex offers most types of cable connection hardware, except link arms which should be obtained from the engine manufacturer. Note that locking fasteners are used on connection components. Do not substitute non-locking fasteners as this may lead to steering failure. b. Is the helm "stiff/frozen"? From the helm, attempt to turn the steering wheel in both directions by hand to ensure that it moves freely through its prescribed steering arc. If everything does move freely and is in good working order, go to step c.
If the wheel does not move, replace the helm and bezel kit. If the helm and bezel are no longer available, replace helm, bezel and cable with an appropriate Teleflex steering kit. c. Does the engine/drive/rudder pivot freely through its entire arc from port to starboard? With the steering cable disconnected from the link arm, tiller arm or rudder post arm, move the engine/ drive/rudder back and forth by hand to ensure that it moves freely through its prescribed steering arc. If it does not move or is extremely stiff, have proper maintenance or repairs done. If it does move freely, then check for obstructions that may have been limiting engine movement and/or revisit steps a-b. 15. How do I remove the steering cable from the engine's tilt tube? Disconnect the link arm that attaches the output end of the cable (telescopic ram) to the tiller arm of the engine. Unscrew the large nut that attaches the cable to the tilt tube. If the cable was greased regularly, it should slide out through the tube. If the cable does not easily slide out, spray inside the tube with liberal amounts of penetrating oil. With care, use a small hammer and block of wood to gently tap the cable out (after the attachment nut has been removed from the tilt tube). Severe blows can damage not only the cable but the engine's tilt tube and other areas. This process requires care and patience. Do not try to drive the cable out by turning the steering wheel - this can damage the helm. 16. The steering cable is stuck in the engine's tilt tube. Now what should I do? a. Fully loosen the large hex nut on the starboard side of the engine that secures the steering cable to the engine tilt tube. b. Cut the cable's output ram close to the tilt tube. c. Drive the cable out of the engine tilt tube. You may not want to hammer or heat the tilt tube in order to remove the jammed cable end. Heating and hammering may damage the engine mounting or pivot areas. You may have to replace the engine tilt tube. If so, consult your engine manufacturer's repair instructions. 2.When installing the new cable and tilt tube (if necessary), be sure the inside of the tilt tube is clean and well lubricated. Lubricate the external parts of the steering cable's telescopic (output) ram as well. Use a good quality, water resistant grease. 3. Be certain that all steering components are correctly assembled and in good working order. These items cannot be repaired; if any are not in good working order, replace them. 4. Note that locking fasteners are used to secure the steering wheel, helm, steering cable and link arm (drag link). Do not substitute nonlocking hardware; engine vibration can loosen non-locking fasteners, causing loss of steering and personal injury and/or property damage. NOTE: To ensure maximum performance and service life for your mechanical steering system, please read and follow the procedures outlined in Maintenance Tips, later in these FAQs. 17. The steering cable's "core wire" is broken. How can this be repaired? Steering cables cannot be repaired. If a steering cable inner core wire separates or breaks within the steering helm (gear box), the steering cable must be replaced with the correct one for the helm. The helm may need to be replaced as well. Cable breakage within the helm may have caused damage to the gears. A helm cannot be repaired and must be replaced as a unit. If the correct replacement cable and/or helm is no longer available, replace the helm, bezel and cable with an appropriate Teleflex steering kit. 18. I've heard steering cables should be "maintained". How exactly is this done? 1. Be certain the helm(s), cable(s), steering wheel and connection hardware are correctly assembled and in proper working order. Check for signs of stiffness, binding, excessive free play and/or wear. These items cannot be repaired; if any components are not in good working order, replace them. Disassembly of these items will void the warranty and can lead to steering failure. Always replace steering cables that are stiff in operation or have damage to the plastic jacket (outer casing). a. Remove the steering cable from the tilt tube. b. Clean the tilt tube inside diameter thoroughly. c. Remove corrosion in the tilt tube with a wire brush. Wipe until all loose material is removed. d. Lubricate the tilt tube with a good water resistant grease. e. Scour the steering cable telescopic ram with a brass wire brush and wipe until clean. f. Lubricate the sliding parts of the telescopic ram with a high-quality, water resistant grease. g. Reassemble, making sure all (correct) fasteners are tight and there is no binding or excessive free play in moving parts. Note where locking fasteners are used. Do not use non-locking fasteners; vibration can loosen them, causing steering failure. 19. How do I install a steering wheel so it is centered when the engine is in the "straight ahead" position? For mechanical rack & pinion steering, attach the rack to the helm with the cable in mid-travel position and wheel centered. For mechanical rotary steering helms, the starting steering wheel position when you first feed the cable into the helm determines where it will be when the steering cable is "centered". To center the steering wheel properly, we suggest orienting the wheel (depending on the rotary helm installed) in the positions depicted below. These starting positions assume the helm is mounted for an ordinary starboard cable exit. You won't have to worry about centering a steering wheel when installing hydraulic steering. Due to a small amount of "slip" or "drift" inherent in any hydraulic system, the steering wheel will not remain centered. Use of a wheel with equidistant spokes is the best solution for hydraulic steering since that type of wheel has no natural "up", "down" or "sideways" position. 20. How do I measure steering cables for a vessel with two steering stations? The only cable steering system available for dual station boats is the Teleflex Big-T. One cable with two outer jacket (casing) sections is used to make the run from the engine/rudder to the lower station helm and then to the upper station helm. 21. Are there any "tricks" to installing a steering system? Is there anything I should definitely avoid doing? If you have an outboard or stern drive with nonpower- assisted steering, we recommend you use either a NoFeedBack (NFB) mechanical or hydraulic (SeaStar/BayStar/Hynautic) system. For boats with power-assisted steering, use HPS (mechanical) or SeaStar. If you have or plan to install an autopilot, use SeaStar. Be sure you have the correct cable for the helm on the boat (or vice versa). There are several kinds of cables and helms that are not interchangeable; this is true whether the system is rotary or rack & pinion. Follow the installation instructions for steering products completely. This will ensure the maximum performance and reliability of the product. If the instructions are missing, contact the manufacturer. Handle the products with care and do not expose them to impact or external stress. Allow for generous (large) cable bends, notably where the cable exits from the helm (or rack housing) and where the cable makes the bend to connect to the engine/drive/rudder. The tighter the bends, the stiffer the cable will tend to be in operation. Also, tight bends reduce cable life. Note; 8" is the minimum bend radius generally recommended for Teleflex steering cables. When using tie wraps to affix the cable along the gunwale area, allow some slack (do not cinch tight). Slack in the tie wraps allows for cable flex as it is actuated. This leads to smoother operation and longer life. Replace all worn steering connection/mounting components with correct replacement parts that are designed for the application. Do not substitute parts. If you think parts are missing from a kit, contact your distributor or the kit manufacturer for replacements. When installing the cable at the engine end, be sure to lubricate the telescopic ram (output end that slides in and out) with liberal amounts of a good, waterproof Lithium-based grease. This is ESPECIALLY critical if the steering cable is connected through the engine tilt tube as this area tends to get very rusty. Avoid the use of add-on grease fitting products designed to lubricate cables. These units can in fact force old grease, dirt and rust onto the moving internal parts of a steering cable, shortening its life. There is no substitute for proper cable maintenance procedures, as noted earlier in these FAQs.